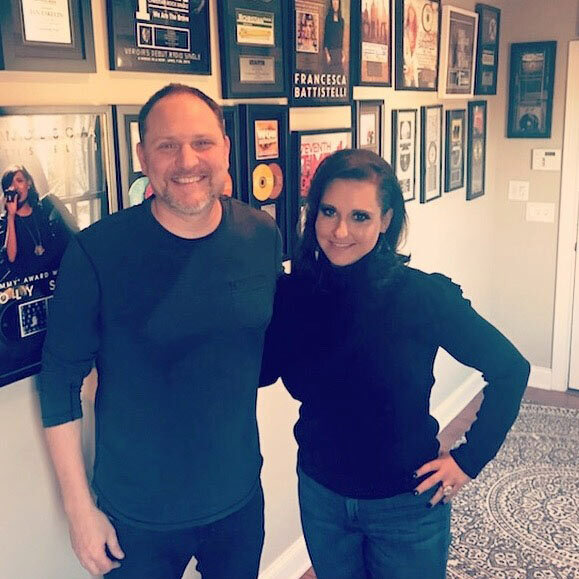 Thursday, June 14, 2018 — Natasha Owens is back in the studio with two-time Dove Award “Producer of the Year” Ian Eskelin (Francesca Battistelli, Point of Grace, 7eventh Time Down) recording the follow up to her critically-acclaimed sophomore album, “We Will Rise.” In addition to preparing new music for release later this year, the powerhouse vocalist is hitting the road this summer, sharing the stage with some of Christian music’s biggest names. "I'm so excited about the new music we're working on," says Owens. "And we're excited to be performing some of it live this summer before dropping a new album later this year." Owens had extensive media coverage for her latest album with television appearances nationwide and an exclusive interview for Fox News Channel’s FOX411. She also appeared on HLN’s “Weekend Express” in the aftermath of hurricane season, announcing that she would donate all proceeds from the retail sales of “We Will Rise” through the end of 2017. To date, Natasha Owens Ministries has donated over $50,000 to hurricane relief efforts. Natasha has toured with some of Christian music’s bestselling artists, including Michael W. Smith, Jason Crabb and Matthew West. Most recently, Owens crossed the country with 7eventh Time Down, Audio Adrenaline, Greg Sikes and Austin French on the 2017 "God Is On The Move” Tour. For more information, visit www.natashaowensmusic.com.